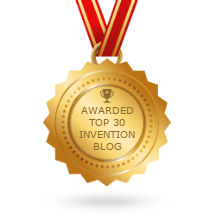 What makes some inventors succeed while others fail? Success isn’t always a case of having the best product or the best strategy; often the difference between a successful inventor and an unsuccessful one is that one inventor chose a market that has outstanding characteristics, or what Don likes to call them, outstanding GEL Factors, (Great customers, Easy sales and Long life), while the other did not. If your idea isn’t targeted for a market with excellent GEL factors, you will have trouble introducing your idea and should consider trying a different idea or market. To learn more about GEL factors look into Don’s book Business Models Made Easy, (Entrepreneur Press, 2006). In this three part series, we will discuss Don’s innovative business model evaluation method and show how you can tweak your existing business marketing approach or how to create a brand new one for your product that will be successful. Pets can be found in more than 63% of all US households; interestingly only 34% have children. According to the U.S. Census Bureau, the pet industry is now the seventh largest retail segment in the country. After consumer electronics, pet care is the fastest-growing category in retail, expanding about 6% a year. 42% of dogs now sleep in the same bed as their owners, up from 34% in 1998.